We all know tinnitus is the unbearable ringing sensation and their cases have been drastically increasing due to many factors. Various studies have been stated this condition as incurable although some of the research has stated the remedial measures to overcome this illness. Though it is true that you cannot completely cure your ringing sensation, but you can overcome this annoying occurrence by implementing a few easy measures. 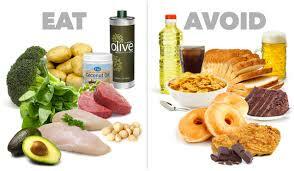 The food you eat during tinnitus can exacerbate your tinnitus seizures. Foods are not the contributor of tinnitus, but it can play a major role in worsening tinnitus symptoms. To reduce the nuisance of tinnitus, it is necessary to avoid some food. Consumption of high salt content in the daily diet can trigger frequent episodes of tinnitus as it constricts the blood vessels and responsible for the elevation of blood pressure. The salt content we consume through daily diet mostly comes from processed foods. Especially the canned foods that contain salt as preservatives can cause an extremely negative effect on your hearing ability. Those who are habitual of sprinkling salt on their favorite food are at high risk of developing severe tinnitus. Though caffeine offers a lot of health benefits, it is not beneficial in certain conditions such as tinnitus. The regular consumption of caffeine should be aware of its negative impact as it makes your tinnitus more worse. Cut back the high caffeine intake as it also restricts your blood flow rate and causes hypertension which is not considered good for tinnitus. Sugar is also considered harmful in case of tinnitus. 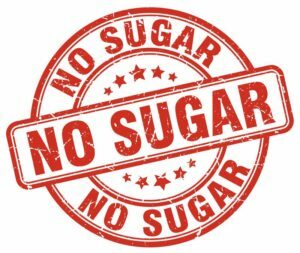 It is reported that 84 to 92% of tinnitus patients have developed the metabolic disorder (Hyperinsulinemia) due to high sugar intake. This condition can lead to diabetes as it can also contribute to the elevation of insulin in circulating blood. To avoid progression of severe tinnitus, you have to maintain a balance in your diet. A scientist has conducted an analytical test on some tinnitus patients, after the laboratory analysis, they found that those who consume sulfites in daily diet are likely to suffer more from severe tinnitus episodes. See your audiologist to take proper medicinal and dietary advice to overcome the effects of tinnitus. Maintaining your overall health can keep you away from many undesirable conditions including tinnitus, as you are aware of the fact that consumption of saturated fat can be hazardous if you are suffering cardio diseases. The Trans fat food such as beef and butter can trigger tinnitus symptoms as it is responsible for reducing the level of blood flow rate by forming arterial plague. As you have no medicinal option to cure your condition permanently, you have to rely on some preventive measure to overcome the annoying noises. 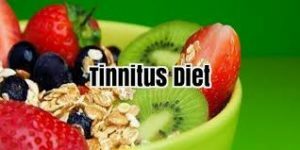 Keep your diet filled with nutritious foods but must ensure that those food doesn’t cause any triggering effect on your tinnitus.